Don’t miss out on seeing the best of Broadway this season, with discounted tickets and bus transportation. DCA Theater Bus subscribers have been treated to blockbusters such as Hamilton and Hello, Dolly! Our Theater Bus offers an easy way to catch a show, and an 8:30am departure from the DCA gives theater goers a head start on the day. 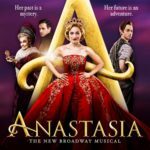 Discounted Broadway theater tickets for Wednesday matinee performances and transportation by private bus are included in the price. Please note: subscriptions are sold out for the 2018-2019 year. Contact the DCA office at 203-655-9050 extension 10, or info@dariendca.org, to be added to the waiting/sub list. A new musical adaptation of the popular 1982 film is headed to Broadway! 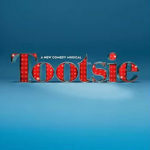 Tootsie, a jaunty new stage musical adaptation of the 1982 movie comedy that starred Dustin Hoffman, has a real degree of currency to it, and it’s not because book writer Robert Horn (13: The Musical) and composer David Yazbek (The Band’s Visit) have set it in the present. Rather than telling the story — about a male actor who pretends to be a woman to get a gig — as some kind of look-what-women-go-through, pseudo-empowerment feminist lesson, they choose instead a nearly full-on satirical take on the narcissistic male ego. It’s that perspective that lifts the story’s farcical spirit into the contemporary. 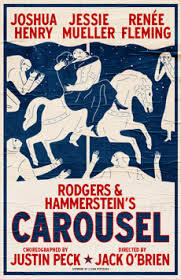 Most everything here comes off with a vibrant musical-comedy zeal, from Horn’s fresh and funny one-liners to Yazbek’s brassy-funky-jazzy score to the comic performances led by Santino Fontana (Rodgers and Hammerstein’s Cinderella). 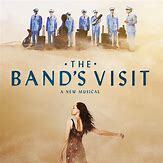 “Spend an evening in the company of unforgettable strangers at the award-winning musical, THE BAND’S VISIT. It rejoices in the way music brings us to life, brings us to laughter, brings us to tears, and ultimately, brings us together. Click to sign up for DCA emails with upcoming Theater Bus Activities and more.